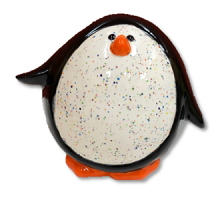 There is no end to what you can create painting pottery with Crock A Doodle. Its “fun art” not “fine art” so anything goes! Check out our easy techniques, seasonal designs, gift ideas, kids projects and more. Be sure to check out our YouTube channel for step by step technique videos. Watch for new pottery painting ideas every season. Check out our YouTube channel for step by step video instruction!